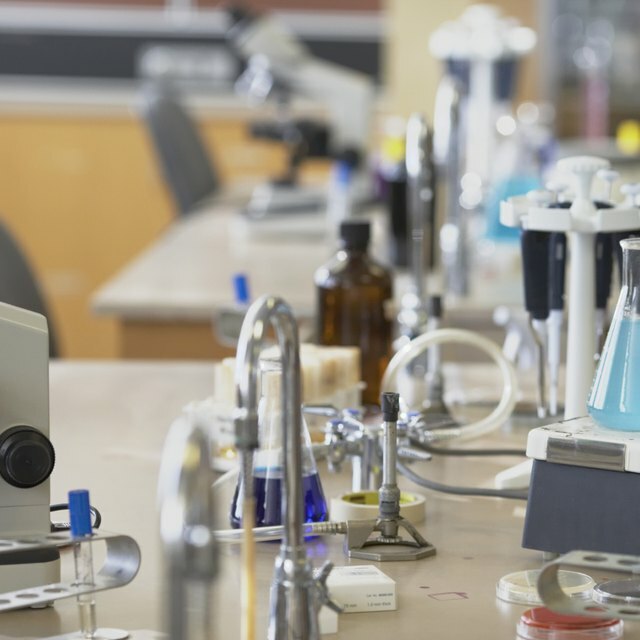 Biology, the study of living things, is a broad and enticing area in which students of all levels can create original, exciting and instructive science fair projects. Evolution, botany, zoology, taxonomy and a host of other interconnected disciplines offer rich opportunities for kids from elementary school through high school to engage their peers in biology topics and further their own learning, perhaps as part of a journey toward becoming scientists themselves. Most young children are aware that not all trees around them look alike and not just because they are different sizes. Why do some trees change colors? Why do some have needles rather than leaves? What are pine cones, and what do they do? Elementary school kids can tackle the basics by setting up a display that distinguishes evergreens (coniferous trees) from leafy trees (deciduous trees). Then they can add basic facts about where these trees most easily grow, which animals live in or near them, and how the parts of the country or world in which they flourish relate to their shape. Youngsters like superlatives, so including a photo of the tallest or widest trees in the world would spark interest in further botanical study in classrooms. Bacteria are everywhere in our lives. Some of them notably harmful, while others are vital to our day-to-day existence. A middle-school biology science fair experiment that involves the growing of bacterial colonies offers a display of the impressive reproductive rates of microbial life and also highlights the fact that bacteria are found virtually everywhere other life forms exist. Students can easily grow bacterial colonies in petri-dish media. Then, they can supplement these with informational cards concerning the basic structure and function of cells as well as explanations as to why some bacteria are good for humans (such as species found on the skin and in the intestines) when others cause disease and debility. Ecological matters have intensified as a public concern since the latter part of the 20th century. Constructing food webs (or food chains, as they are often called) for a given ecosystem can highlight the elegance and delicate nature of the interplay between plants, different animal species and climate in a particular area or region. High-school biology science fair students can be encouraged to create a basic food web relating to wildlife in the state or general geographic region where they attend school, with information about the overall health of the primary species added to emphasize the strong interdependence among seemingly unrelated creatures and flora in maintaining a given ecosystem's balance. Why Is the Food Web Important? How Are Fungi & Plants Similar? Beck, Kevin. "Biology Science Fair Projects." Sciencing, https://sciencing.com/biology-science-fair-projects-13710543.html. 14 March 2018.